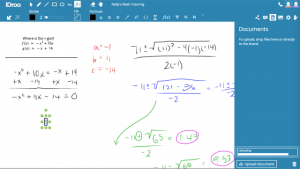 Online whiteboards are essential for virtual tutoring sessions, but many out there come with a high price tag or cumbersome, clunky operations. Wouldn’t it be great to find a free whiteboard that was simple to use and worked in real time? Over the next few months we will review some of the main platforms available and let you know which one we think is the best. 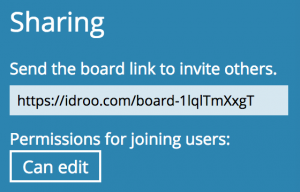 First up is IDroo which we reviewed 3 years ago on our Tutor Report magazine so I thought I would check in with it again and see how IDroo is shaping up. I logged in and created my first board in seconds, very simple. The sharing link is the first thing you see and this may be viewed by any recipient with the link. Your student would need to login (which can be done quickly via Google login) should they wish to interact with your board. The tool bar front and center is very user friendly and the pen writes legible numbers when using a mouse – the track-pad, not so much! I particularly liked the formula button that opened the formula tool bar allowing for the neat creation of equations. Since my previous review ‘document upload’, has gone from the free plan and is now available for paid subscriptions only, but if you need audio for your tutoring sessions this would be a requirement regardless and the standard package comes in around $10.00 a month. 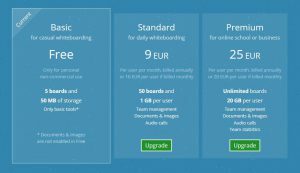 All in all this is a great whiteboard and while the free version has some limitations such as no audio, it can be used alongside Skype and it is free after all! Tutors and Tutoring companies using Oases Online to schedule, track and manage tutoring can communicate the board URL to students via session reminders or Class notes. We have created a tutorial on how to do this, if you search the Oases Knowledge Base for ‘Whiteboard’ you will find full instructions. 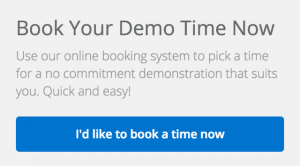 If you are interested in Oases Online to manage your tutoring company please press the graphic below to book a free no obligation, online demonstration of the features of Oases Online.